Government-to-government consultation is an opportunity for better U.S. Arctic management decisions that are built on an exchange of views and perspectives with Alaska Natives. However, our past research showed that consultation had often failed to live up to its potential. The Handbook attempts to change that by providing a tool to support Alaska Natives as they develop their own policies and procedures for consultation, with a specific focus on marine mammal issues. Click below to jump directly to a specific section, or read on to learn more about the project. The concept for this Handbook arose from a 2012 meeting co-hosted by the Marine Mammal Commission, the Indigenous Peoples Council for Marine Mammals (IPCoMM), and the Ocean Program. 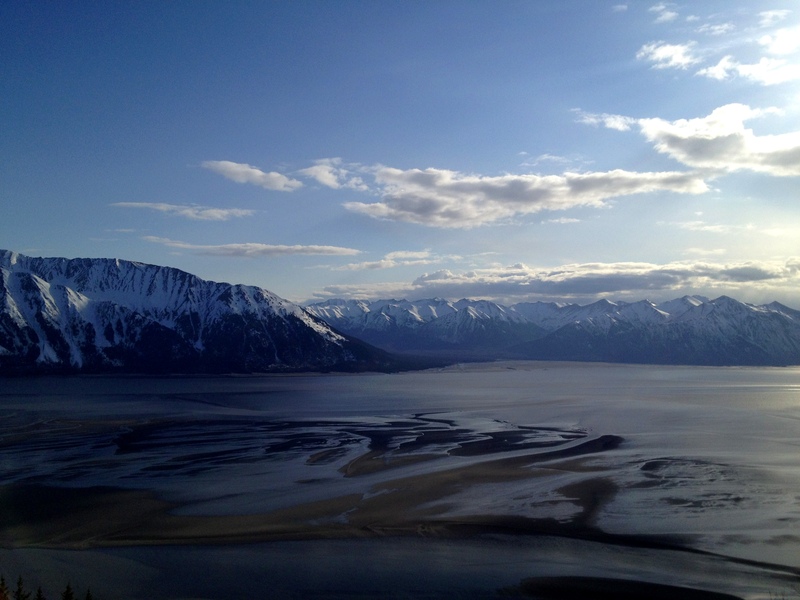 One outcome of the meeting was a recommendation by IPCoMM to work with the Ocean Program to develop model consultation procedures that support Alaska Native communities. With support from the Marine Mammal Commission, ELI collaborated with IPCoMM and an Advisory Group to design and develop this Handbook. The Advisory Group included experts from co-management organizations in Alaska, statewide bodies, Alaska Native corporations, and those involved in consultation with federal agencies. This Handbook includes model language for government-to-government consultation policies and procedures as well as explanations for why specific language is suggested. It is meant to serve as a resource for Alaska Native communities to support their efforts to design their own consultation policies and procedures that work for them. There is no one-size-fits-all approach, so some provisions may be useful in some circumstances and for some communities, but not others. The Handbook considers both internal procedures within a community and external procedures between communities and federal agencies. 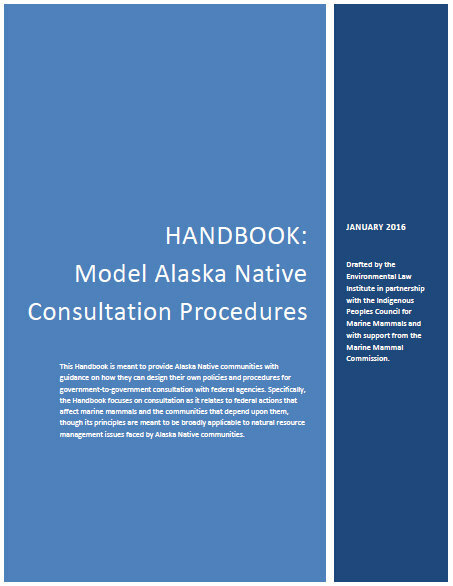 The first overarching goal of this Handbook is to support Alaska Native communities in their actions related to federal activities that affect them. Enhancing the role of Alaska Natives in the consultation process is important to positively influence the way consultation occurs and improve the management of marine mammals. The second overarching goal is to support consultation that enhances tribal self-governance, including co-management. Marine mammal co-management is separate from consultation but integral to it. Co-management is authorized under Section 119 of the U.S. Marine Mammal Protection Act, which provides a robust mechanism for Alaska Natives to manage the resources they depend upon. While consultation and co-management are separate rights, Alaska Native organizations with co-management authority could enhance the government-to-government consultation process. If you would like printed copies, would like guidance on how to use the Handbook in your community, or have any comments or input, please contact us using the form below.